the top producer and exporter of liquefied natural gas, gas-to-liquids and fertilisers such as ammonia and urea.Qatar crossed a major milestone in November with the formal inauguration of the world’s largest plant, the $18.5bn Pearl GTL by HH the Emir Sheikh Hamad bin Khalifa al-Thani in Ras Laffan.When fully operational this year, Pearl GTL, a Qatar-Shell joint venture, can produce 140,000 bpd of high quality GTL products, which include “cleaner-burning” diesel and aviation fuel, oils for advanced lubricants, naphtha that is used to make plastics and paraffin for detergents. It will also produce 120,000 bpd of natural gas liquids (liquefied petroleum gas and condensate) and ethane.QP and Shell recently joined hands on a project to construct a giant $6.4bn petrochemicals plant as part of Qatar’s strategy to expand the downstream hydrocarbons sector.Under the heads of agreement Qatar Petroleum signed with Shell in Doha early this month the project is expected to be commissioned by 2017.The plant, which will have a capacity of 1.5mn tonnes a year of mono-ethylene glycol and 300 kilo tonnes of linear alpha olefins, would primarily market the products into fast-growing Asian markets.The mono-ethylene glycol would be produced using Shell’s proprietary OMEGA (Only MEG Advanced) technology and linear olefins using SHOP (Shell Higher Olefin Process). Mono-ethylene glycol is an important raw material for industrial applications. A primary use of it is in the manufacture of polyester resins, films and fibres. In addition, it is important in the production of antifreezes, coolants, aircraft anti-icer and deicers and solvents. Another mega project Qatar realised recently was the $3.2bn Qafco-5 in Mesaieed. Qafco-5, which was inaugurated by HH the Heir Apparent Sheikh Tamim bin Hamad al-Thani will boost the fertiliser major’s annual ammonia output by 73% to 3.8mn tonnes and urea by 43% to 4.3mn tonnes. 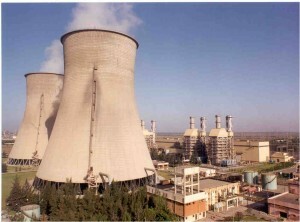 The main units of Qafco-5 are ammonia, urea and formaldehyde plants. In a clear boost to the local industries and utilities, Qatar formally launched the $10.4bn Barzan project, a QP�”ExxonMobil joint venture that will provide 1.4bn cu ft a day of lean gas. HH the Heir Apparent laid the foundation stone for the world scale project here on November 1. The project will be completed in two phases. Train 1 will produce the first gas in 2014 and train 2 in 2015. Besides 1.4bn cu ft a day of lean sales gas, which is mainly methane, Barzan’s Ras Laffan facility will also produce about 29,000 bpd of both field and plant condensates, 1,900 tonnes per day (tpd) of ethane, 860 tpd of propane and 680 tpd of butane, said HE the Minister of Energy and Industry, Dr Mohamed bin Saleh al-Sada. QP recently completed the financing of the Barzan project in the world’s largest project financing to close in 2011. It was one of the largest oil and gas project financings ever concluded. The project will be financed with up to 30% equity and the remaining 70% in the form of a syndicated loan (expected to total $7.2bn) from a “combination of banks and export credit agencies”. ExxonMobil, which is QP’s partner in the project, also provided a pro rata portion of the senior debt. On the sidelines of the World Petroleum Congress in the first week of December, which Qatar hosted for the first time in the Middle East, RasGas signed a long-term liquefied natural gas sales and purchase agreement (SPA) with Taiwan state-owned energy company CPC Corp, facilitating the supply of an additional 1.5mn tonnes per year of Qatari LNG for 20 years. The LNG supply to Taiwan under the deal will start in 2013 in addition to incremental volumes from 2012 to 2016. Also, Qatargas signed a tripartite sales and purchase agreement to supply 0.2mn tonnes per year of liquefied natural gas to Chubu Electric Power Company and Shizuoka Gas Company, from 2016. Under the binding terms of the tripartite SPA, Qatargas will transport and deliver (ex-ship) LNG to a cluster of receiving terminals located in Japan including Chita, Kawagoe, Yokkaichi, Joetsu and Sodeshi, all in Japan. Qatargas delivered its first Q-Max liquefied natural gas (LNG) cargo to China yesterday. Delivered onboard the Q-Max vessel Bu Samra, this is the first Qatari liquefied natural gas Q-Max cargo delivered to PetroChina’s newly-commissioned LNG receiving terminal at Rudong in Jiangsu province. RasGas will supply a record 8.3mn tonnes of liquefied natural gas to South Korea this year, which will account for a quarter of the total anticipated LNG demand in the country, al-Sada said. Currently, RasGas is the largest single supplier of LNG to South Korea delivering more than 7mn tonnes of LNG a year on a long-term basis. Qatargas achieved another milestone in July with the signing of a heads of agreement (HoA) to supply LNG to Petronas LNG, a wholly-owned subsidiary of Petroliam Nasional Berhad (Petronas), the national oil and Gas Company of Malaysia. In April, Qatargas achieved a milestone by seeing all its four mega liquefaction trains attaining 100% production capacity. Already the world’s largest LNG producer, Qatargas is currently running at its full production capacity of 42mn tonnes per year (tpy) from a total of seven trains. In February, the first LNG cargo from Qatargas 4, a 70:30 joint venture between Qatar Petroleum and Shell, was loaded onto a Q-flex ship for dispatch to India. The LNG was received at the Hazira regasification plant in Gujarat State for supplies to customers in northern India. The cargo sailed on Al Ruwais, which is one of the latest Q-Flex vessels’ acquisition of Qatar Gas Transport Company (Nakilat). Also in February, Qatargas reached its targeted 42mn tpy of liquefied natural gas capacity and became the world’s largest LNG producer with the start-up of its seventh and final train at Ras Laffan. A “project management centre of excellence” will come up in Doha as a joint venture between Qatar Petroleum and Shell. The centre will focus on “competence development” in project management of capital projects and associated supply chain. Named “Tafawoq” which means “excellence”, the centre will aim to increase the competence level of the project delivery community in Qatar at all levels. Its programme will span across the project lifecycle and target project engineers who are involved in project management, supply chain management and project delivery.